Welcome to MOLLY MAID of Greater West Houston! We have been serving the Greater West Houston and the surrounding area for over 30 years and have built a legacy in premier house cleaning. Our maids are fully covered by liability, worker's compensation, and bonding insurance for your protection. With our satisfaction guarantee, we offer peace of mind that is priceless. Our Houston house cleaning services are customized to your needs. From kitchen appliances to the bathroom vanity, our maids are happy to clean those hard to clean areas of the home. In addition to regularly scheduled home cleans, we also provide move in/move out cleans, carpet cleaning, apartment cleaning, and same day service. Whether you are moving into your new home or are a landlord between tenants, we can provide you with exceptional service ASAP. We’re proud to serve Greater West Houston’s neighborhoods and suburbs, including the Energy Corridor. We also service Katy, Sugar Land, Cypress, Richmond, Bunker Hill, Piney Point, Houston and all of the surrounding areas MOLLY MAID of Greater West Houston takes great pride in community outreach. We are contributors to Fort Bend Women’s Center, which helps survivors of domestic violence achieve safety and independence. Over our 30+ years of service, we have offered peace of mind and high quality cleans to all of our customers. Give us a call today! 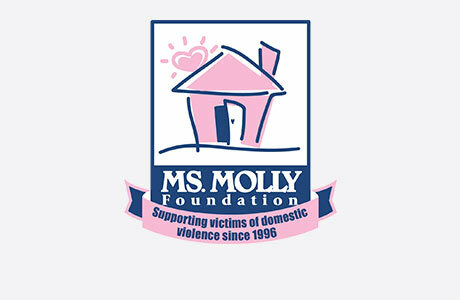 Is Molly Maid insured and bonded? Yes, for our customer's protection we carry full liability, worker's compensation, and bonding insurance. No, one of the great advantages with Molly Maid is being able to come home to a freshly cleaned home. A majority of our customers provide us with a key to their home which we keep secured and locked when not in use. What do we have to do before the cleaning? In order to get the most out of our service, we kindly request customers pick up items from the floor and clear counters as best as possible before the team arrives. This gives the team time to focus on the cleaning and ensures items aren't misplaced.